Support before, during and after your purchase. Customer service is our top priority, both before and after a sale. Our goal is to ensure you feel so satisfied with our service that you want to recommend us to your friends and colleagues. Here are some of the many comments that we've received directly from customers. "Above and beyond. I had the pleasure of discussing my requirement for a Home Cinema Projector with William who was very knowledgable on the subject and guided me to my purchase of a Epson TW9100 3D Projector. That was in 2013, the projector performed as promised until recently when I had to claim on the 5 year warranty. I had misplaced my documents for the Warranty and contacted Projectorpoint William remembered that he was the one who sold me the projector which was impressive also impressive was the effort they went to to get the matter resolved to my satisfaction." "I would like to take this opportunity to thank you sincerely for your prompt and attentive service while selecting a projector today. You have provided me a professional first class service reinforced with detailed in depth knowledge of your products. Service like yours is rare in business these days and I do not want my appreciation to go unstated. I can assure you that I will continue to purchase merchandise from ProjectorPoint." "It is a real pleasure dealing with a firm from start to finish who provide an excellent service. The service on the phone was friendly and efficient and the delivery in a couple of days. I am speechless normally when you phone a firm,nobody knows what you're talking about, delivery takes weeks and normally wrong item. Well done, there should be more like you. David"
"Your sales person was wonderfully helpful and went out of her way to help me process my order as quickly as possible, even phoning the warehouse to check when the lorry was leaving. In this day and age it was uplifting to get such helpful and polite service." "Despatched quickly and recieved next day. Staff very knowledgeable and not pushy. Great web site with a lot of good info (maybe need just a few more reviews) Got the projector home and all I can say is WOW! Thanks very much." "I'll keep this short, required a projector screen - received expert advice, great price, prompt delivery, damaged plastic clip reported to Projector Point (not their fault) replaced within 24 hours. This level of service will take some beating." "There are a bewildering number of projectors on the market and their manufacturers naturally claim that theirs are the best/biggest/quietest/brightest. Your advice was invaluable in helping me choose the right projector for my home setup - and having decided to make the purchase the projector and screen were at my door the following day. Thank you for an excellent service." "My projector was ordered and delivered within a very short timeframe - it arrived exactly on time. I'm very impressed with your service, particularly after horrendous experiences with [company name removed]. I've passed on your details to my colleague ... who will probably be placing an order soon. " "Thanks for the sound advice regards my recent purchase of the Benq w100. I knew nothing about projectors apart from I wanted one. You were not the only people I spoke to but you were the only ones who asked what its primary use would be, and then advised that for value for money and my first projector I should pick nearly the cheapest... You were right on the money though, it came today 24 hrs after order, and its FANTASTIC... its worth every penny." "I am very pleased with the projector... Added to this, the service I received from ProjectorPoint.co.uk was excellent and the delivery of the projector speedy and efficient. Thank you for your service. Like the Hitachi PJ TX10, I would certainly recommend ProjectorPoint.co.uk to anyone wishing to buy a projector." "I bought a projector and a screen from your company about eight months ago and contacted you again today to order a remote control. I felt that I had to write and compliment you on your superb customer relations. Speaking to you again reminded me what an excellent service you provided me with last Christmas, everyone I have spoken to has been more than helpful and always willing to go the extra mile. I only wish that all companies I had dealings with were as friendly, helpful and efficient." "My projector arrived Saturday morning (early) as you had arranged, and it works perfectly. I'm very grateful for your efforts in producing such a rapid response to my shout for help." "Thank you for your help -- your website was especially helpful, your product range wide, and your prices very competitive." "It has been a pleasure doing business with ProjectorPoint. I have found you very professional and I would recommend you to our contacts." "Fast shipping, friendly prices, great customer support! Many thanks and keep up the good work! Cheers, Zoltan (a very satisfied customer)"
"Your web site has been the most useful and informative I've found and has been greatly beneficial in some of my decision-making." "Have used ProjectorPoint for the last 10 purchases and have two more going through at the moment. Personal customer service, sound advice and price are fantastic. Would very much recomend." "Just an e-mail to thank you for the splendid service. The projector arrived as promised, and has far exceeded my expectations. I was not aware that I could arrange presentations on an SD memory card and connect my digital camera directly to the projector. The lap-top isn't needed anymore! Thank you so much for the prompt service and the wonderful product, I shall certainly recommend you to my colleagues." "Purchased a Benq projector pb6200. Great price, Delivered within 24hrs. Customer service excellent very happy. Thankyou"
"The service that I have received from from your customer service team was outstanding and the website is very user friendly and a joy to use. Thanks." "Thank you for you efficient service - a pleasure to do business with." "Superb service!! Ordered it on Wed 3pm and it arrived before 9am the next day. I am impressed. Helpline also excellent. I will recommend you." "Good telephone advice. GREAT SERVICE!!! - Delievered am after late pm order Well Done"
"You have provided excellent service both pre and post sale." "I rang you for help and information, which you freely gave. I then ordered a Projector one day which arrived the next. Thankyou for a first rate service." 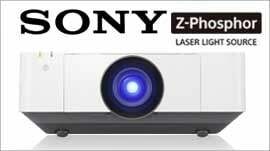 "Having ordered an Epson projector, the delivery was very swift and the website a joy to use. It provided all of the background information without 'selling'. It was great to make my own decision based upon the imformation provided, then organise the purchase." "The site is excellent, the young lady I spoke with on the phone was friendly, well informed and very helpful. I think the combination of a 'slick' site and a phone line answered in 2 rings by someone who knows immediately that your order is on its way is exceptional service. It seems to me that the prices are competitive with the 'IT sheds' which is unusual for a specialist. Your company seems to me to be all the good things a modern web trading business should be, there are companies with as efficient order fulfilment (though few) and companies with good (human) contact channels, but very very few with both; I'm recommending you to everyone I know." "Trouble free - when I phoned you answered quickly with a knowledgeable UK call centre, gave good information and delivered oh so quickly and at a fantastic price - unmatched - a great screen too!" "Many thanks for your prompt attention and regular contact regarding the projector we have just purchased from you. I felt I had to write to say how impressed I am with you and your company - people are forever quick to complain and it is, I believe, also worth saying thank-you. My office staff were also most impressed with the care and attitude of the lady who delivered the parcel." "We had to order a Sanyo projector yesterday as a matter of urgency; our existing model was stolen in a break-in last week and our senior staff required a projector for a number of major presentations to Church communities around Devon. Just to say thank you for the efficient service and telephone support, as well as the speed of delivery. The unit arrived this morning as promised, and works perfectly. We often receive enquiries from Churches and other related organisations regarding media equipment and we will not hesitate to use and recommend your services in future." "I recently purchased the aforementioned projector from your company. I am chuffed to bits with it and would also like to thank you for your all round service. First class in all departments. Swift delivery and the representative who dealt with me was brilliant." "We were in urgent need of a digital projector. [Our local supplier] were unable to immediately supply the model we wanted and were unable to provide an estimated delivery. After running a search on Google I found your webiste. Within half an hour of ordering I received a follow up telephone call to confirm the order and to advise that the projector had been despatched. It was received early the following day. Excellent service. Would recommend your website and will certainly be using your company in the future." "Just to let you know I'm incredibly impressed by fast response and quality of customer service. I ordered the screen yesterday morning, and it arrived this morning, expertly packaged. You are guaranteed my repeat custom!" 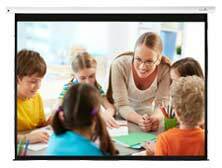 "I had never heard of ProjectorPoint before, and had spent days looking for a good priced quality branded projector in shops and on other sites, to no avail. One frustrated day I stumbled across the ProjectorPoint website and found the Mitsubishi HC3. What a find! Not only is the projector a fantastic bit of kit, the customer service from ProjectorPoint was second to none! I ordered the HC3 on Thursday, and got it Friday, THE NEXT DAY! Thank You, and well done Projector Point for your courteous and prompt customer service. My local cinema will probably report me missing now!!!!" "The H30 projector is simply fantastic (80" TV for under a grand!!). Many thanks for your advice. Your internet site is the best I have seen in a long time, with a lot of very useful information on the topic." "I'm impressed by the fact that you actually read my email and responded intelligently - I'm not used to that with online vendors!!" "Just a quick note to say how pleased I was with the service, even though we did have a small problem with our projector being sent to the wrong address. This was not the fault of ProjectorPoint, but the fault of the carrier. We were kept informed at all times by the team at ProjectorPoint. I will certainly use ProjectorPoint again in the future." "Thank you for your prompt and efficient service. The Mitsubishi projector arrived on the day promised last week and worked perfectly over the weekend at a conference. We now await the confirmation of stock for dispatch of screen ordered today and I am sure will be met with the same efficient and friendly service." "Just a quick email to say I am delighted with my Benq projector - it is great. The best thing I've bought for years and I am really glad to have bought through you - delivery was easy, price was great and Daniel in your office advised me well on what I should buy." "Just wanted to say thank you for your fantastic website and your excellent Customer service. I recently purchased a Mitsubishi HC900, Screen and mount. I'm so pleased with it! Thanks again." "The person spoke to on the phone was very helpful. The whole service is quick and efficient"
"Excellent website, and excellent customer service....I have quite a number of friends and colleagues who are now thinking of buying projectors having seen ours in action, and I will be directing them to your site safe in the knowledge that they will enjoy the same excellent service I received." "It's easy to complain, so it must be equally easy to say "well done". Let's try ... This morning I took delivery of the projector I ordered yesterday. The telephone ordering process was painless and delivery in 24 hours was impressive. Thank you and well done."